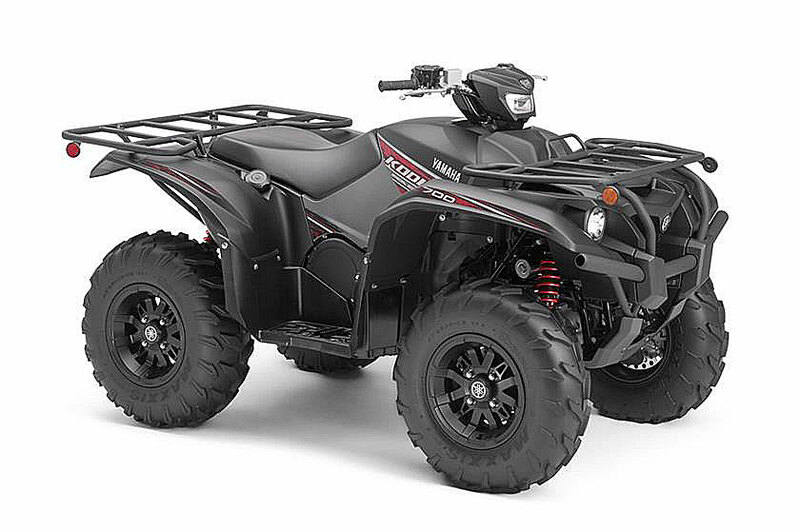 2019 Yamaha Kodiak 700 Quick Guide. Prices, Photos, Specs, and More. The 2019 Yamaha Kodiak 700 models continue to be more focused on utility than the recreation oriented Grizzly line. They do get the updated 700 engine with more mid-range power. They also get lower gearing to improve low speed performance. Just follow the guide below for all the details. 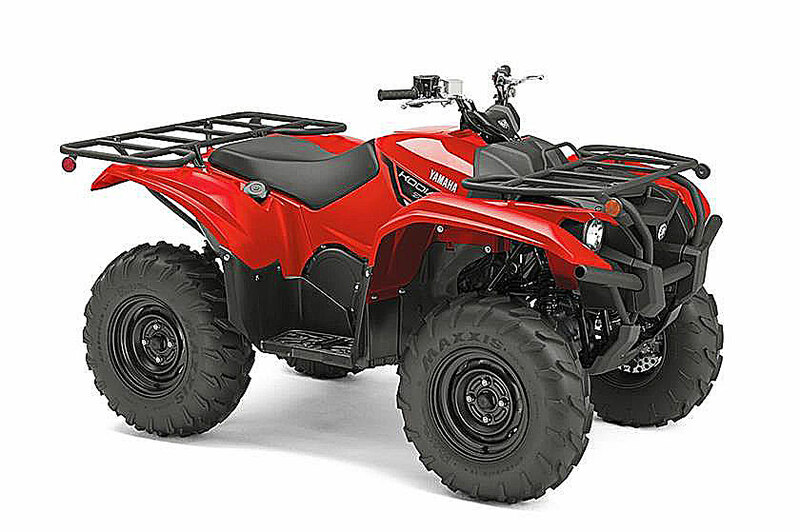 2019 Yamaha Kodiak 700 Models. Updated 700 class engine with more mid-range power and updated motor mounts for less vibration. 686cc SOHC single cylinder engine, liquid cooled, and fuel injected. High mounted air intake for better performance in water and mud. Easy to service tool less air filter. High mounted high capacity radiator for better low speed cooling and better protection. Stainless steel exhaust with spark arrestor. Ultramatic CVT transmission with automatic centrifugal clutch - maintains constant belt tension for reduced belt wear and a sprag clutch delivers natural all-wheel engine braking. Handlebar lever operated 2wd/4wd selector with shaft drive. Lower gearing for more pulling power. Nitrogen-charged shocks with 5-way adjustable preload. Brakes / Rear - Multi-disk wet brake - sealed for low maintenance. 25 inch Maxxis tires on 12 inch wheels. Body design similar to a mid-sized ATV, for better overall feel and handling. Halogen headlights with an extra handlebar mounted halogen work light and LED taillights. 12 volt power plug for accessories. Electric power steering with speed sensitive adjustability. Selectable 4WD - switch between 2WD, 4WD limited-slip, and 4WD with diff. lock with a handlebar mounted push button. Override button allows engine to reach maximum rpm in full diff lock mode. New for 2019 instrument cluster with larger all-LCD readouts for visibility. 12 inch aluminum wheels on select models.